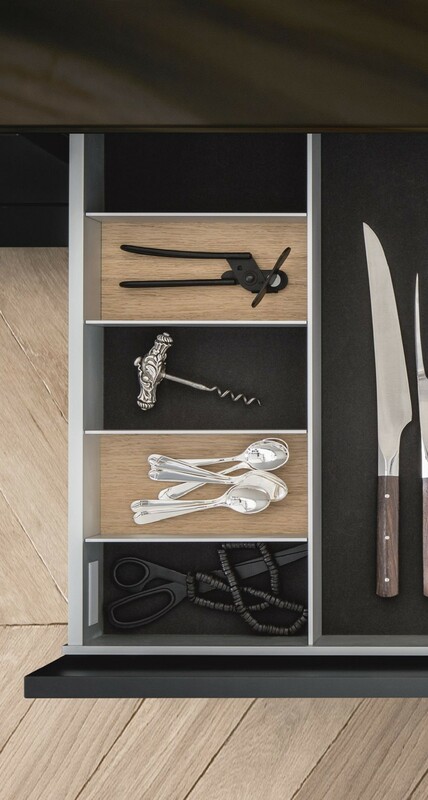 SieMatic drawers and pull-outs are perfection in both appearance and performance. Whether in base cabinets or kitchen islands, no technical detail disturbs the aesthetics. They are sturdy, easy to open, and available in any width from 25 to 120 cm. 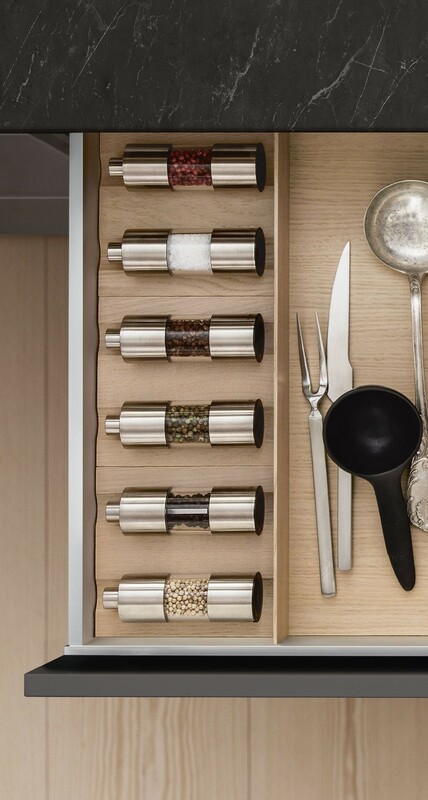 And best of all: They give you the greatest possible freedom of design for your kitchen’s details. Kitchen design from the outside in: Whether you prefer the purist, urban or classic style collection, your SieMatic kitchen expert offers three different systems with fascinating possibilities to design the interior of base cabinets or islands according to your personal taste and elegantly designed to coordinate with the surfaces of kitchen furniture and details. Making cooking even more enjoyable. Highly customizable accessories in aluminum and dark smoked chestnut or light oak in combination with dark grey flock mats define the character of this SieMatic development. 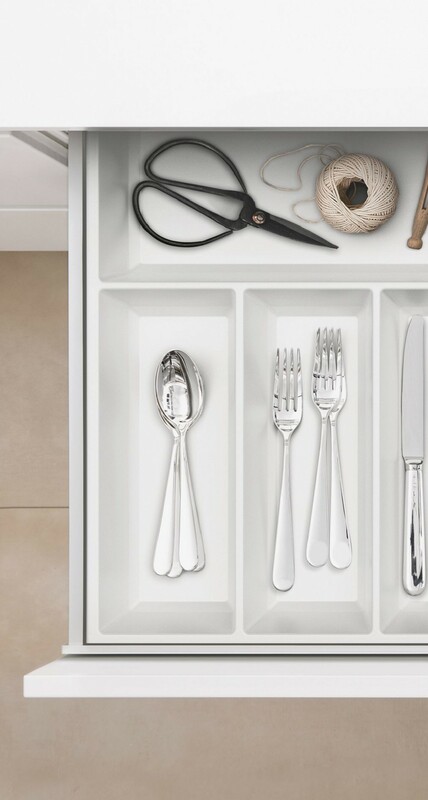 Versatile combinations of SieMatic cutlery and accessory inserts in light oak, combined with numerous functional inserts in light oak, porcelain, and aluminum, give this option its cozy yet elegant appeal. With its modern, graphical form, the easy-to-care-for SieMatic accessories in matte white laminate is a popular alternative or supplement to the SieMatic aluminum or wood Interior Accessories Systems. Nowhere is space more valuable than in the kitchen. View the Inside Brochure to find tips and ideas for kitchen design, along with more detailed information about the quality and variety of products from SieMatic. KONST SieMatic can also provide you expert assistance in planning your kitchen. Let’s talk about your personal interior accessory options. We looks forward to your visit.